What is the best wood chipper shredder on the market? Before we try to find an answer to that question, it is crucial to understand how chipping and shredding works. Shredding leafs with a wood chipper shredder is not only a smart decision but it is also a decision that can be beneficial to the soil. There are many folks throwing the mulched waste away, when this is essentially an important nutrient for the soil. But we’ll get back to this later. In the previous articles I’ve presented a short introduction on yard cleaning tools, tips, advices and reasons why you should buy wood chipper shredder machines to ease your work. Now, it’s time to leave the explaining behind and get to what’s really important: the actual tools. 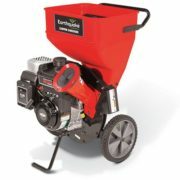 I’ve gathered a list with some of the best wood chippers shredders on the market and I will list them here, starting with the cheapest I could find and finishing with the ones that are designed for professionals. If you are uncertain about your decision, you should read my previous articles and get an idea on how to choose the tool that’s perfect for you. 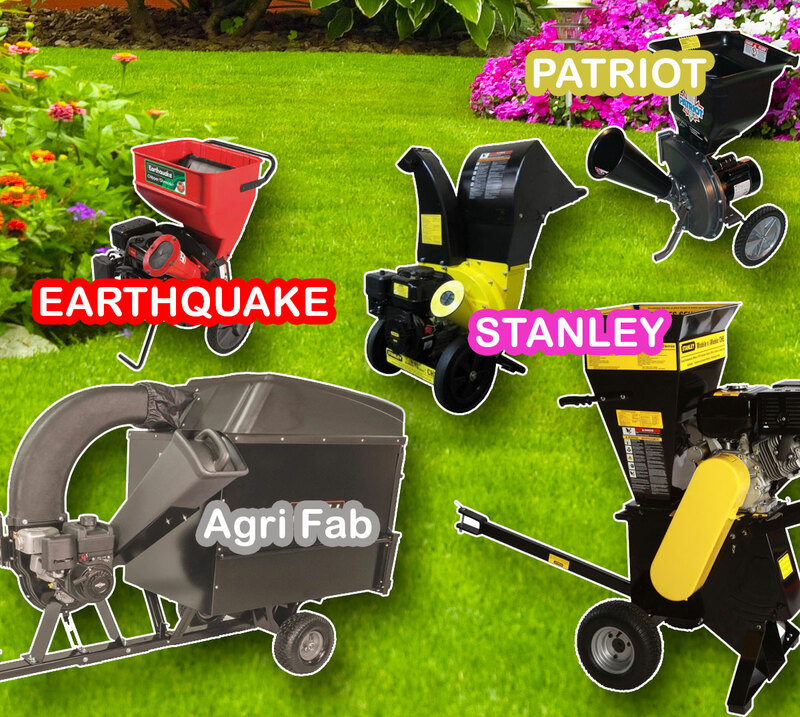 Earthquake, Patriot or Agri Fab are the most notorious brands of wood chipper shredders. That’s why I have tried to add them to this short list. Let’s begin! 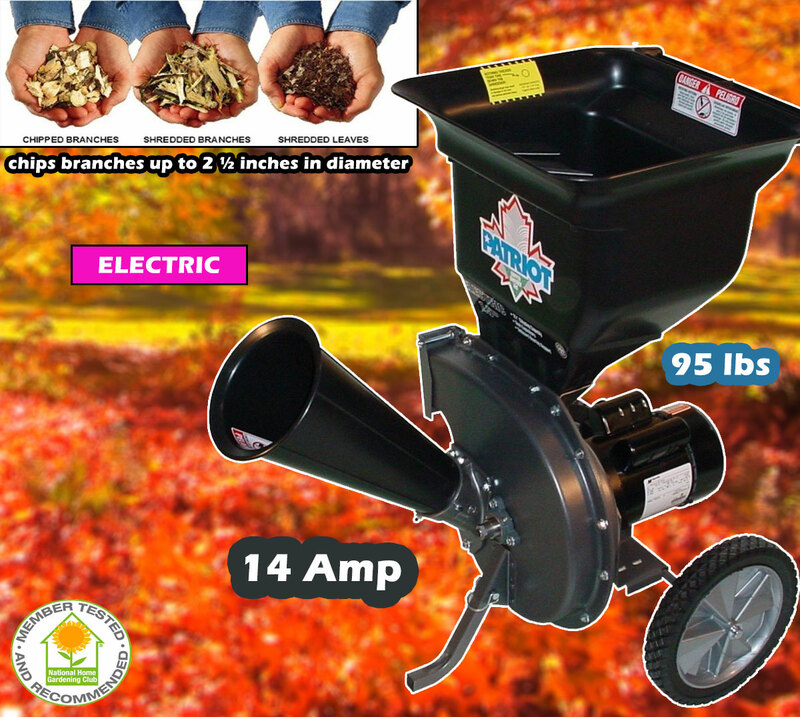 This light wood chipper shredder is powered by a 14-amp motor, it has a safety hopper that will keep your hands safe and it will start instantly with the push of a button. The tool works perfectly with leaves, bushes and branches that are no thicker than 1 inch in diameter. Another cool thing that I love about this tool is the price and its portability: you can carry it with you around the yard thanks to the 6-inch wheels and if you already decided to get it, you should know that you’ll have to pay only $136 for it. Pretty neat, right? 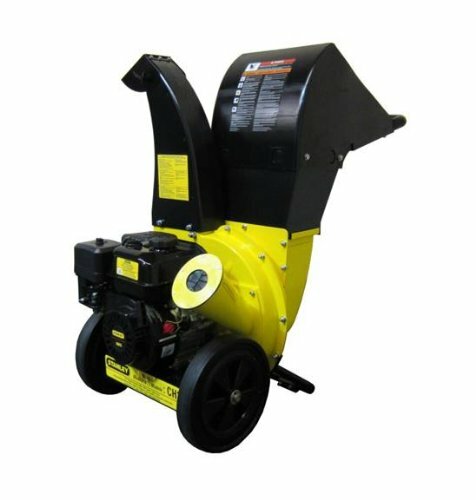 This wood chipper shredder has feature that will appeal to a customer that needs a durable tool at a reasonable price. 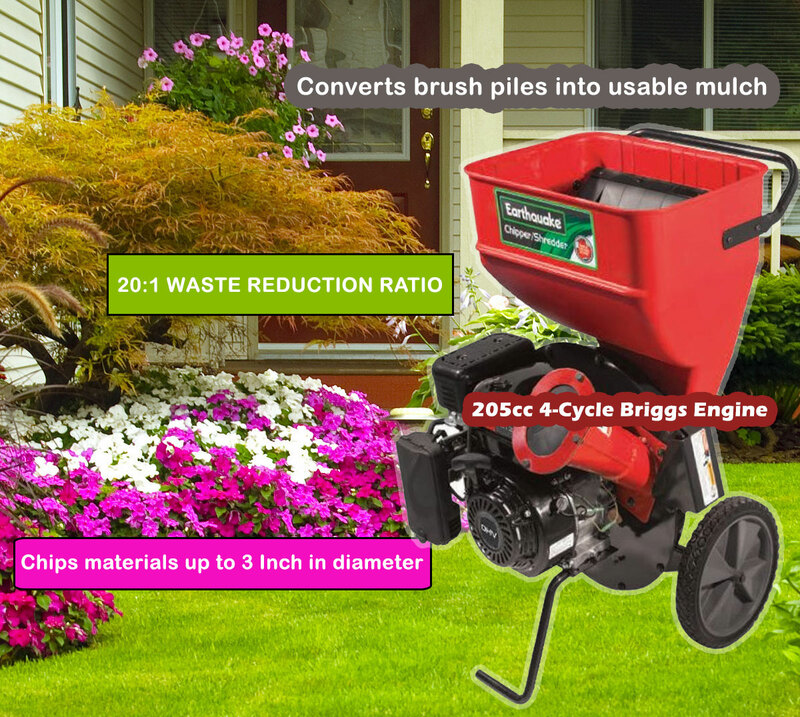 The machine packs a 205cc 4-Cycle Briggs and Stratton Engine and can chip branches up to 3-inch in diameter and it provides a 20:1 waste reduction ratio, which is better than anything else I’ve seen at this price. The packages also includes a 2-bushel bag. I was reading some of the reviews on Amazon, and most of the users where really happy with their purchases, giving it a 5/5 star rating. After comparing all the items in this list, I have concluded that this is actually the best pick you can make if you’re planing to use it for your home. For this price you will not find a better deal! 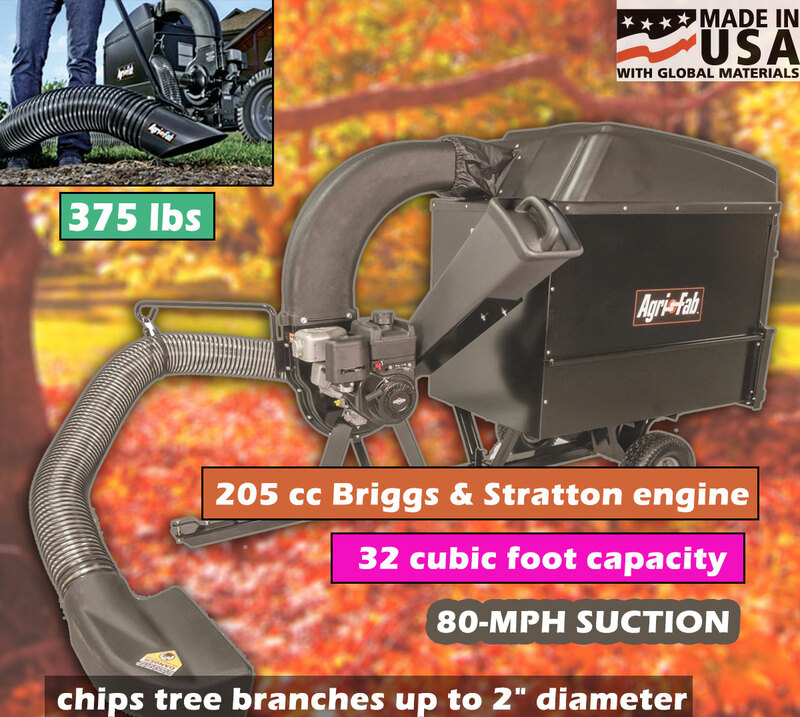 This wood chipper/shredder is the electric version of Patriot Products CSV-3100B 10 HP Briggs & Stratton Gas-Powered Wood Chipper/Leaf Shredder. It is priced just under $1,000 and it can shred leaves and branches up to 2 1/2 inches. Just like the Earthquake 14267, the machine has 4.5/5 stars ratings on Amazon, so you can definitely expect a premium product if you’ll buy it. 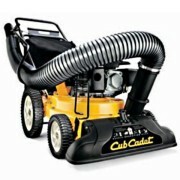 According to the manufacturer, the CSV-2515 is quieter than other similar products, it is lightweight and smooth. One reviewer wrote that this piece of equipment will last for many decades if you manage to keep it clean and use it in proper conditions. It runs only on electric power, so this may come as an advantage for some customers. While we advance with our list trying to find the best wood chipper shredder on the market, we enter the “big guns” section? Agri-Fab managed to built a machine that has a suction power of 80-mph. 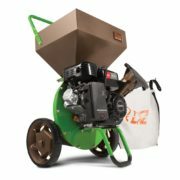 With this yard chipper shredder, you will be able to vacuum grass clippings, pine needles and other lawn debris. The gardening machine can handle branches of up to 2-inch diameter. The package contains the cart and a hard top design that is very useful in reducing the airbourne dust in use. If you manage to read the reviews of this product you will notice that most users praise this product and they are pleased with their purchase. Although Agri-Fab 55249 Chip N Vac is a bit pricey, its performances are worth your money and your time. This chipper shredder is powered by gasoline. 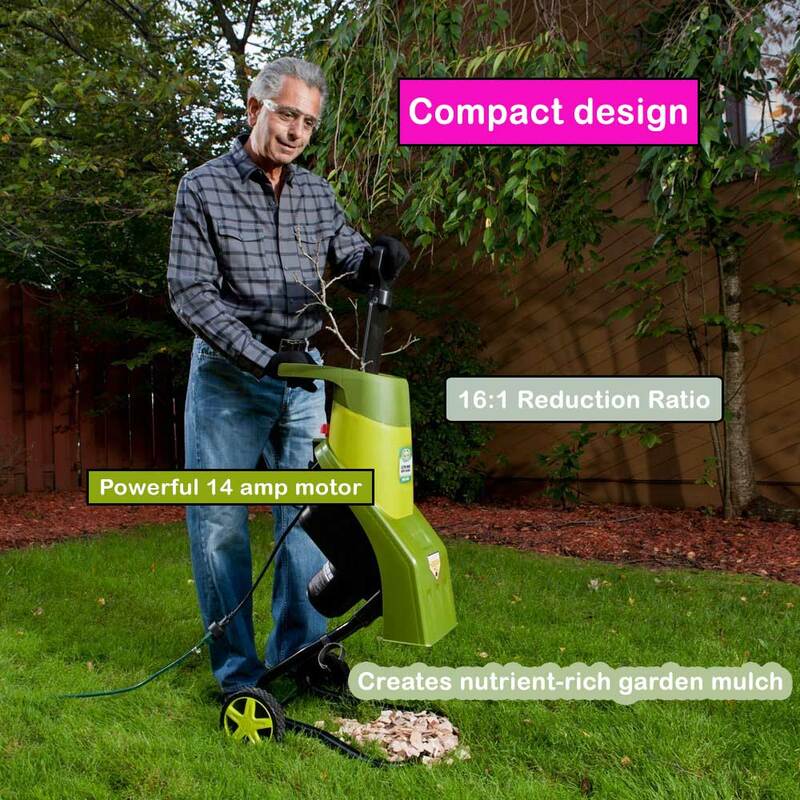 This gardening machine has great reviews amongst verified buyers, a lot of power, and it can easily shred up to 4-inch wood and transform it into debris. The engine is built in the USA by the GXi and it’s designed after a reliable and certified Honda Engine. According to the description provided by the manufacturer, it will compress the debris and branches at a ratio of 12 to 1. Once you assemble it and start it, you will see that a “monster” lies in your back yard and it is ready to “chew” everything you throw at it. 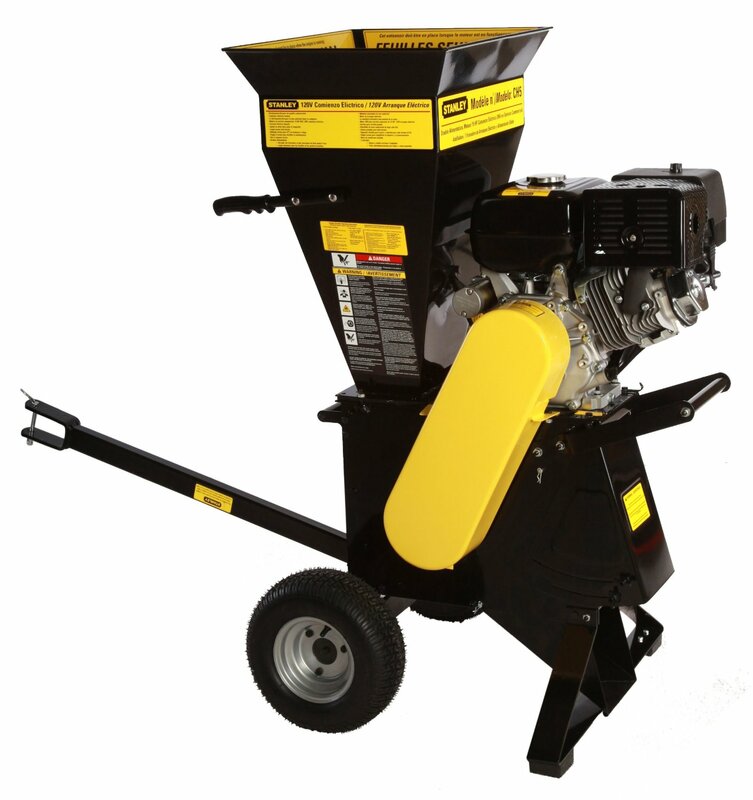 Besides all these great features, if you decide to buy this wood chipper shredder you will also receive accessories like ear protection, gloves and eye protection. And talking about ear protection, I have to let you know that this shredder is loud, so you will definitely need this accessory. As you may expect, this chipper is not cheap and you will have to pay $1,358 in order to get it. 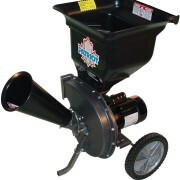 This wood chipper shredder has plenty of power and it will shred and chip larger branches (up to 3 inches) with ease. I was reading some of the reviews about this wood chipper shredder, and I have two warnings for you: if you are using it to shred leaves, make sure they are dry. It’s a must. And the second warning is this: make sure that the branches are straight and they don’t have any twigs sticking out. Everything else works flawless and fast. It is really difficult to pinpoint a gardening device and define it as the absolute best chipper shredder on the market. These machines are not cheap and you should take your time to define your needs and your budget before scouting the market. Once you have a clear idea about what you want, you are good to go. If you want, you can even pick a chipper shredder from this list! This entry was posted in Chipper Shredders and tagged chippers, gardening, home tools, shredders, wood, wood chipper, wood shredder on September 3, 2014 by Wood Chipper Shredder.